MANILA, Philippines - Several pre-pageant activities all over the Philippines have been lined up for candidates of the 65th Miss Universe pageant set in Manila in January 2017. The Department of Tourism (DoT) recently gave a rundown of events Miss Universe hopefuls will be participating beginning January 15. Candidates will begin arriving in the country on January 12. According to DoT Secretary Wanda Teo, candidates will be split into groups and will visit several destinations in the Philippines for their official activities. Locations to be visited include Albay, Bicol, Baguio, Cebu, Iloilo, among others. Here’s the schedule of pre-pageant activities released by the DoT. Some of the activities are yet to be finalized. 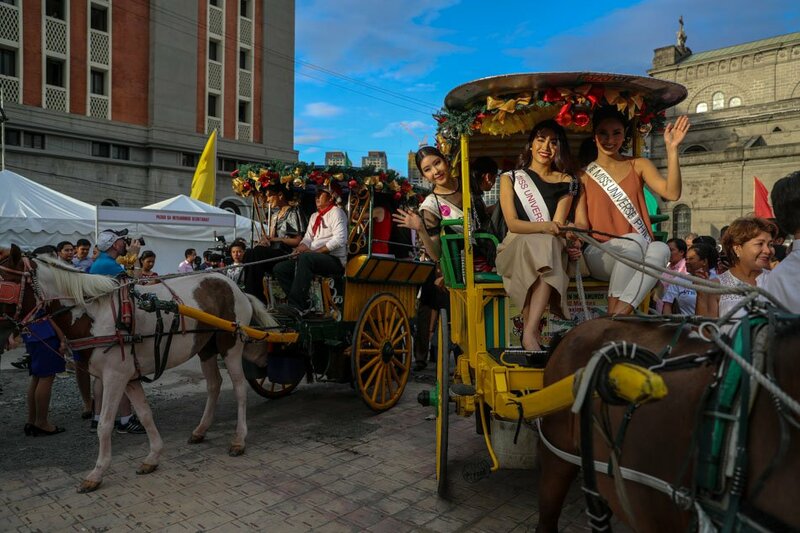 On Tuesday, December 27, social workers and policemen picked up at least 100 homeless people from the vicinity of Manila City Hall and Baywalk along Roxas Boulevard almost one month before the Philippines hosts the 65th Miss Universe pageant. According to an official from the Manila Social Welfare and Development Office, who refused to be identified, the “rescue” was part of Manila City’s preparation for the event. On the same day, Presidential spokesperson Ernesto Abella revealed that President Rodrigo Duterte wants homeless people to be left alone.